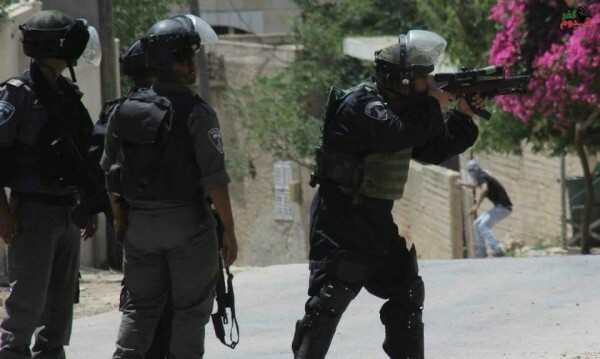 On the 19th of June in Kafr Qaddum, the first Friday demonstration of Ramadhan, Israeli border police shot two Palestinians with live ammunition. One Palestinian was shot twice in the leg and the other was shot once in the leg. Israeli forces also used skunk spray (chemically treated sewage water) and tear gas as well as rubber coated steel bullets. A Palestinian man was hit with a rubber coated steel bullet in the back which caused him to fall and break his leg. 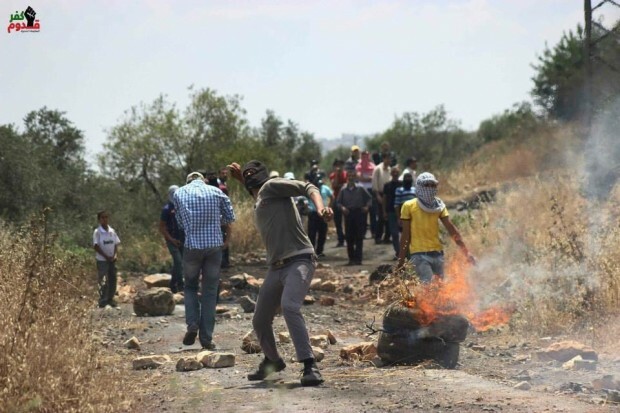 Residents of Kafr Qaddum said that this demonstration was the first time that they were able to reach the gate which seals off part of a major road. 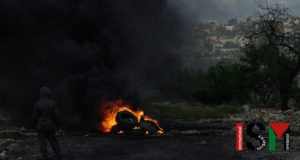 Despite the heat and fasting hours, Kafr Qaddum continues to resist the Israeli occupation of Palestine. 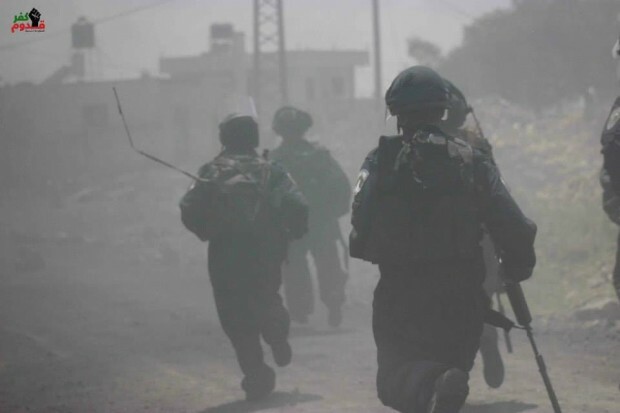 Israeli border police positioned themselves on the main road into Kafr Qaddum before the demonstration started and turned back internationals from the village. 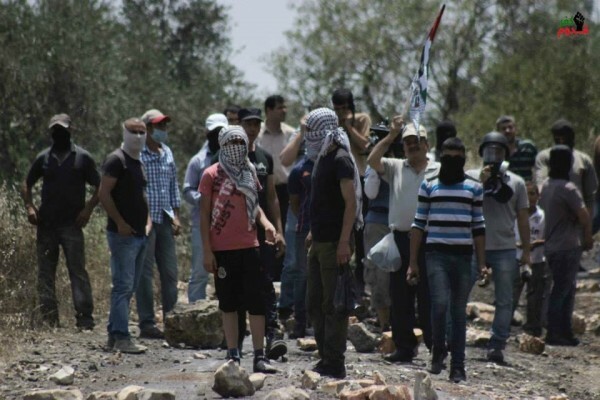 Internationals ignored the Israeli border police and entered Kafr Qaddum via a back route. 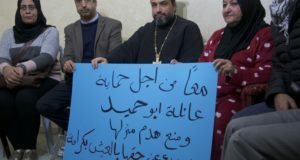 Hundreds of Palestinians attended the demonstration. 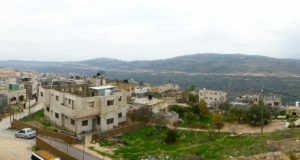 Israeli forces were reluctant to use violence in the beginning as an Israeli TV channel was present however as soon as the TV channel left, the Israeli forces on mass forced their way deep into the village using weapons such as stun grenades, skunk, live ammunition, rubber coated steel bullets and finally a barrage of tear gas which flooded the village and ignited small fires. Residents of Kafr Qaddum have begun regular Saturday demonstrations in addition to the one on Friday to show that the resistance will not end despite the violence and pressure from Israeli forces. All photos belong to the Popular Struggle Coordination Committee Facebook page.